Wedding cookies. 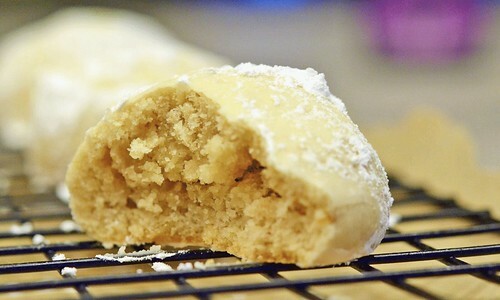 Or Italian wedding cookies. Or Mexican wedding cookies. Or Russian tea cakes. 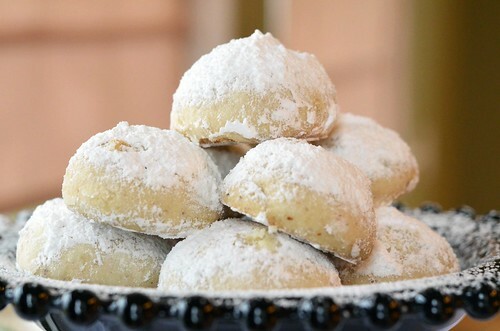 Or Viennese sugar balls. Or my favorite, Butterballs. I would be neutral and vote for butterball, which is probably an American bastardization, which is OK, since we didn’t even have a real chance at claiming/naming the cookie as our own. My memory of these cookies, like most, is embedded in the holiday season. When this cookie was requested, my mind went directly to these. I knew exactly where to find them in the grocery. I could picture the package. I could almost taste them. Light (weight wise, not calorie!) and tender. Buttery, melt in your mouth, slightly sweet and nutty. Guess what? The homemade version is better. I beg you to make these, you will not be disappointed. And name them whatever you like. 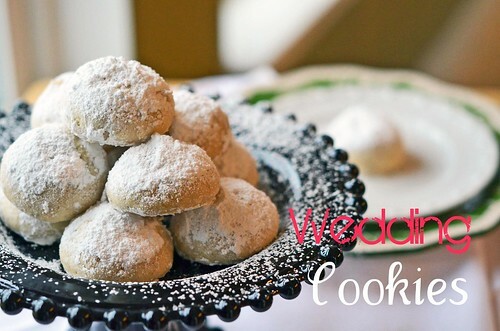 I am going for Irish Wedding Cookies…yeah? These will definately go on my list of favorite cookies. A list that is ever growing. In a large mixing bowl, cream together the butter, confectioners sugar, and salt until light and fluffy. Add walnuts and vanilla and continue to beat until combined. With mixer on low, slowly add the flour and mix until combined. 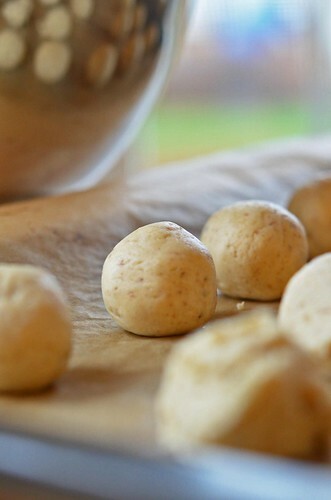 Shape dough into balls about 1 to 1 +1/2 inches in diameter. I used a cookie scoop and then rolled the dough between my hands to shape into balls. Place on ungreased/parchment paper lined cookie sheet and bake in preheated oven for 15 to 20 minutes. Do not let them brown, so start checking around 13 minutes. Remove from oven and let sit for about 5 minutes before transferring them to a cooling rack. When the cookies are slightly cooled – cool to the touch, roll the cookies in confectioners sugar and place back on wire rack to finish cooling. I would recommend sifting confectioners sugar over the cookies once they are completely cooled.